An iridology assessment is included as part of the Comprehensive Consultation. Iridology is the practice of reading the iris of the eye to assess the health of the organs and immune system. 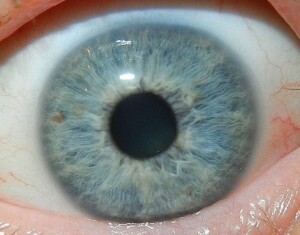 Iridology is based on the study of the iris — the colored part of the eye. Like markings on a map, the iris reveals physiological conditions, weaknesses and strengths of organs and body systems, as well as inherited tendencies. The person should look straight ahead. If the top of the eye and the bottom of the eye do not show, then spread the eyelids open with your fingers so the entire eye is showing. Take the picture about a foot away from the face so that in addition to the eye, some of the face is in the picture as well. People sometimes make the mistake of getting too close. You will need at least a 5.5 pixel resolution camera (the higher the number, the better the clarity). Typical picture pixel size is 1500 x 1500 or higher. It’s important to take the picture away from any outside light, glare from light coming in the windows or artificial light from lamps or overhead lights. It’s best to take the picture in a hallway. Use a flash. If you have very light blue eyes, sometimes the flash cannot be used. Do not crop or alter pictures. If using a camera (versus an iphone), select the setting with a flower on it – it is used for close ups.